Dr Alexandra Miragaia | Neurodevelopment | Carly Snyder, M.D. Posted August 22, 2017 by Carly Snyder, M.D. MD For Moms Radio, Every Wednesday 1pm (ET) on The BBM Global Network and TuneIn Radio opens in a new window. This week on MD for Moms, I’ll be interviewing opens in a new windowDr. Alexandra Miragaia, a neuroepidemiologist who studies how early life experiences affect learning for infants and children. Dr. Miragaia’s work investigates how Adverse Childhood Experiences (ACEs) impact a child’s neurodevelopment and also learning capabilities. She will discuss what constitutes an ACE, as well as how to help a child who may have experienced such a traumatic event to maximize learning ability going forward. Similarly, Dr. Miragaia will explore how to optimize a child’s learning in all situations and ways to encourage a child’s development in a healthy way. Learning to speak more than one language is beneficial, but do you know why? Based on her research, Dr. Miragaia will also explain the science behind learning multiple languages, as well as how living in a multilingual households can benefit a child’s development. Additionally, Dr. Miragaia researches the epidemiology of Zika virus. We will discuss ongoing risk, along with what moms-to-be can do to try to minimize risk and about the potential risks if exposed to Zika virus during pregnancy. 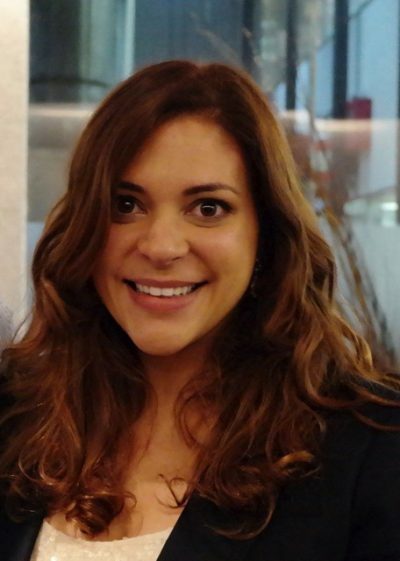 Dr. Alexandra Miragaia studies neuroepidemiology at the University of Pittsburgh. Her primary research interest is in early life environments and how they shape the learning and sensory circuits of infants and children. She has co-authored the program “Working for Kids” which teaches parents about the impact of Adverse Childhood Experiences, such as violence and neglect, on the brain of the developing child. Additionally, she is developing innovative curricula for teenage detention centers with a focus on higher level cognitive skills. Finally, Dr. Miragaia is a grantee of the CuraZika initiative at the University of Pittsburgh that seeks to elucidate the effects of the Zika virus on the unborn fetus. She received her mathematics bachelor’s from Duke University and her medical degree from the Federal University of São Paulo in Brazil, her home country. At home, she is best known as “mama” to baby Ian who is 14 months old.